First up is Birch Coffee. They have multiple locations in NY, I went to the one on 62nd St. This location is tiny, doesn't offer a seating area and only has a counter on the (huge) window with some stools. Nevertheless, it's so pretty and cozy, with beautiful wallpaper, amazing tiled floor and pretty lights. They had a bunch of pastries to offer and staff was very friendly. Up next, is Maman. They now have two different location in NY, one in SoHo and one in TriBeCa. I went to the one on Centre St, SoHo. This is the most adorable coffee place ever! 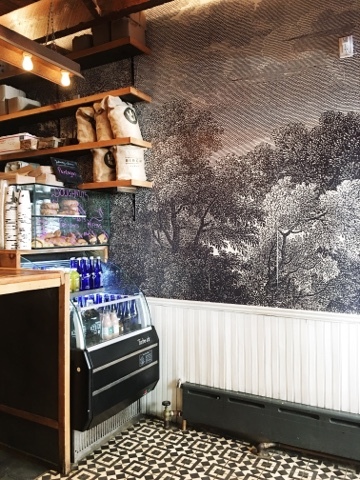 The decor of this shop incorporates influences from South of France and every corner is picture perfect. Rustic tables, chairs and benches, plenty of windows and plants. The snacks and coffee were really good, but they also serve salads, sandwiches and soups. 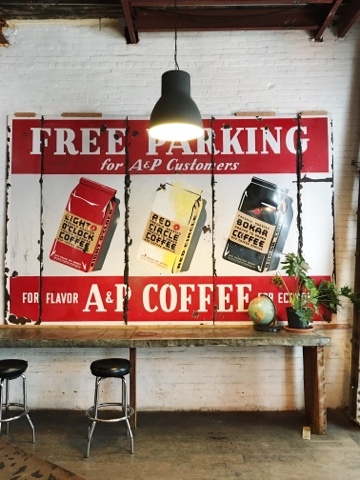 Kobrick Coffee Co. is a super cozy coffee shop in the Meatpacking District. I stopped by after an afternoon of walking and it was just the perfect place to rest for a few minutes before heading home. They offer snacks, brunch, dinner and also cocktails. 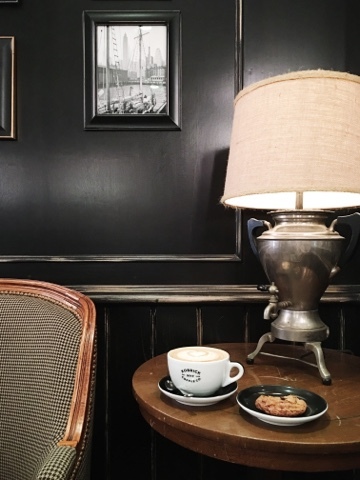 I loved the dark walls and comfy chairs and the staff was really really nice. Last, but not least, is Brooklyn Roasting Company. 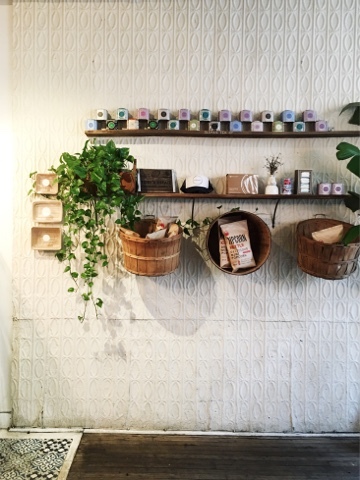 We visited their DUMBO location, where they also roast their coffee. It's actually pretty cool to see them at work. The shop inside a big warehouse, with lots of seatings, and it has a really cool modern-artsy-industrial decor. They also offer a bunch of different snacks and food. 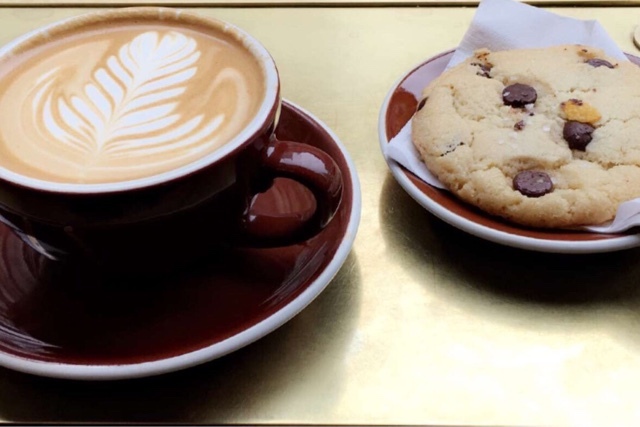 Do you have any favorite coffee shops in the city? If you do, I'd love to hear about it! Let me know in the comments or via email! loving this series! i'd like to try maman, personally. there's a stumptown in the ace hotel in midtown that's fantastic.